When Scholastic was in need of a Lego-approved illustrator for their series of Lego children’s books, they just turned to longtime Scholastic artist Kenny Kiernan! 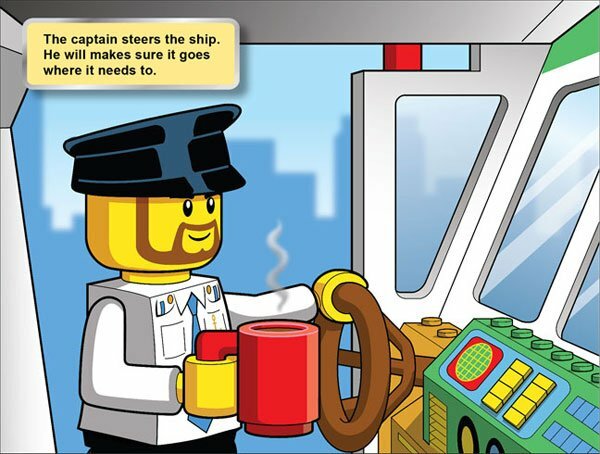 “Having worked on many Lego Club magazine covers in the past, I knew that Lego is very picky about getting the technical look and proportions just right for their minifigures, vehicles and structures,” says KennyK. His fluency in creating vector art in Adobe Illustrator was key in achieving the requested style; Bold, fun and buoyant, but with very slick and clean technical linework, and alternating thick-and-thin line weights. For Walmart’s recent Star Wars saga Blu-Ray re-release/Pringles promotion, they came to Kenny Kiernan to render the iconic sci-fi characters in a new and accessible comic book/animated style for all their print ads and floor displays. “They didn’t want to use photography for the characters, but didn’t want it to look like the new Clone Wars series art either; we developed a fun and cool look for the characters that fits right in with the Star Wars universe,” says KennyK.